Run Charts are simple line graphs of data plotted over time. They are used to better-understand the performance of a process, as they help people distinguish between random variation and special causes, or to track information and predict trends or patterns. A run chart can also reveal whether a process is stable by looking for a consistent central tendency, variation and randomness of pattern. One of the most common CI tools, a run chart is easy to interpret and does not require tedious calculations or special software to produce. Identify the question that the run chart will answer and obtain data that will answer the question over a specified period of time. For example, if you were looking at how long it takes to complete a task, you will make note of the time taken (in minutes) to complete it over a specified period of time. Gather data, generally collect at least 10 data points to detect meaningful patterns. Create a graph with vertical line (y axis) and a horizontal line (x axis). 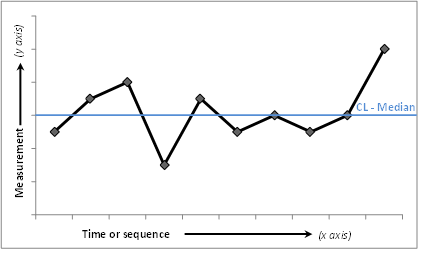 On the horizontal line (x axis), draw the time or sequence scale. Plot the data, calculate the median and include into the graph. Simply stated, a Pareto chart is a bar graph that represents problems or opportunities in order of descending magnitude or frequency. Considered one of the seven key quality and improvement tools, it is named after Vilfredo Pareto, an Italian engineer, sociologist, economist, political scientist, and philosopher. He made several important contributions to economics, particularly in the study of income distribution. He is most well-known for his observation that 80% of the land in Italy was owned by about 20% of the population – now referenced as the “Pareto Principle” or “80/20” rule. Pareto charts are used for a number of purposes, such as to analyze the frequency of defects in a process, to look at causes in a process, to figure out what the most significant problem in a process is, or to communicate data with others. Decide what measurement is appropriate. Common measurements are frequency, quantity, cost and time. Decide what period of time the Pareto chart will cover: One work cycle? One full day? A week? Collect the data, recording the category each time, or assemble data that already exist. Subtotal the measurements for each category. Determine the appropriate scale for the measurements you have collected. The maximum value will be the largest subtotal from step 5. (If you will do optional steps 8 and 9 below, the maximum value will be the sum of all subtotals from step 5.) Mark the scale on the left side of the chart. An Ishikawa or fishbone diagram is a visualization tool for categorizing the potential causes of a problem in order to identify its root causes. These diagrams are particularly useful in brainstorming sessions as they help people to focus their conversation. The technique is named after Dr. Kaoru Ishikawa, a Japanese quality control expert, who invented it to help employees avoid solutions that merely address the symptoms of a much larger problem. The approach begins by stating the problem, and then requires people to identify at least four overall causes or categories that contributed to the problem. Once categories are selected, the team must brainstorm around each cause to further break-down how or why the effect took place. Because the design of the diagram looks much like a skeleton of a fish, it is commonly referred to as a fishbone diagram. Common uses of the fishbone diagram range from product design and quality defect prevention to identifying potential factors causing an overall effect or process failure. Each factor or cause for imperfection is a source of variation. After brainstorming all the possible causes for a problem, users go on to rate the potential causes according to their level of importance and diagram a hierarchy. Fishbone diagrams are typically worked right to left, with each large “bone” of the fish branching out to include smaller bones containing more detail. Create a head, which lists the problem or issue to be studied. Create a backbone for the fish (straight line which leads to the head). Identify at least four “causes” or categories that contribute to the problem. Major categories often include: equipment or supply factors, environmental factors, rules/policy/procedure factors, and people/staff factors. Connect these four causes with arrows to the spine. These will create the first bones of the fish. Brainstorm around each “cause” to document those things that contributed to the cause. Use the 5 Whys or another questioning process such as the 4P’s (Policies, Procedures, People and Plant) to keep the conversation focused. Continue breaking down each cause until the root causes have been identified. 1.) Rapid growth and a scarcity of resources. 2.) Inspiring mid-management to embrace change. 3.) Measuring the impact of long-term CI projects. new possibilities by drawing analogies to specific tasks. By drawing analogies between specific work and that work in other industries, he creates the possibility of seeing their work in a new light and learning from others who have tackled the same problems. Another partner collaborates with a consortium of other diverse companies to share ideas. The consortium includes a number of very different companies in very different industries, all learning from one another. The fact that the “learning relationship” has been formalized via the formation of the consortium has resulted in more consistent participation by all. Another strategic approach to meeting the challenges ahead is becoming better at measurement. All of our Partners agreed, without a strong system of quantifying the waste and measuring the improvements, a CI initiative can easily drift into unproductive territory. Developing an effective method for, and consensus around, measuring the deep cause & effect improvement initiatives will be an important strategy for the challenges ahead. To address the challenge of aggressive strategic growth plans with scarce resources, the primary strategy is alignment. Hiring goals and training goals will be aligned to achieve the strategic plans. Personal activities and projects must align to the strategic goals. Communication: One of our partners is working hard to make the goals visible and making clear and widely understood how well the goals are accomplished. 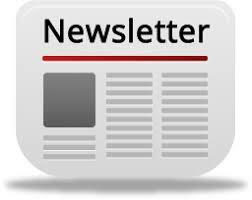 Monthly dashboards and monthly newsletters that track and communicate percent complete should help to maximize goal completion and the alignment of individual activities to support those goals. Training: In a time of growth, training becomes ever more critical. One of the partners is marshaling the knowledge of internal subject matter experts and to build both classroom and on-line training. The objective is to make the process as standardized and well-rounded as possible. In one of the partners’ organizations, CI has strong support from the CEO, but less so from middle management and first level supervisors. Training will be key to driving the execution needed to achieve the vision. Several of our partners employ a Learn & Do approach that follows up the training immediately with an improvement project. Retention: Training is also key to another strategic objective: retaining the top talent is essential for several of the partners to address the challenges ahead. The retention goals demand using people wisely, developing their skills and abilities, providing growth paths, and making sure they have the right tools to succeed. Effective training and development will be a fundamental support tool for this initiative. Marketing: One of the partners noted he finds lots of enthusiasm at the worker level, but not a lot of top down support. Constant marketing of the success and focusing the message on how the job is getting bigger and the resources are getting tighter is essential to cultivating the support required for on-going success. Information Technology: Information technology will play an important role in achieving some of the growth goals. Applying the CI principles to the better leverage information technology will help to achieve the world class initiatives. Especially important will be getting the IT people involved up front in improvements – where they can add the most value. Incorporating other areas into the CI effort: Operations has traditionally been the first area of engagement with CI, but opportunities exist throughout an organization. Several of our partners will be working to bring continuous improvement to the finance and admin groups as well. Implementing CI plans in a growth organization when resources tend to be scarce. When opportunities are many and resources are scarce, choosing where to focus becomes very difficult – and also very critical. Spreading improvement resources thinly slows progress – just when improvements must be completed faster than ever because when opportunities are numerous relative to resources, top priorities change more quickly. If the pace of change in the organizational priorities surpasses the pace of improvement execution, nothing gets done. Further, if the growth involves bringing on new people, what training is needed to effectively use their talents? How much technical training will they need? How much training in CI to continue and strengthen the deployment of CI throughout the organization? benefits of CI, this understanding must be cultivated throughout the organization. People need to see what CI can do to help them do their jobs better. To gain effective union involvement, it must be clear how it benefits everyone – industrial safety, helping people do their jobs better, helping them look at their everyday work differently. Finally, a smaller number of partners expressed having difficulty in measuring the impact of deep level improvements, which often requires longer intervals of time. 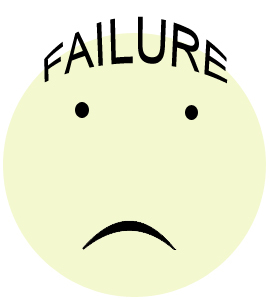 First, keeping the enthusiasm going is more difficult when one cannot see immediate results; and second, without a clear measurement and feedback mechanism about the effectiveness of the improvement, it can be difficult to test whether the root cause was accurately identified and whether the solution was actually effective, resulting in loss of momentum or, in some cases, doubt. 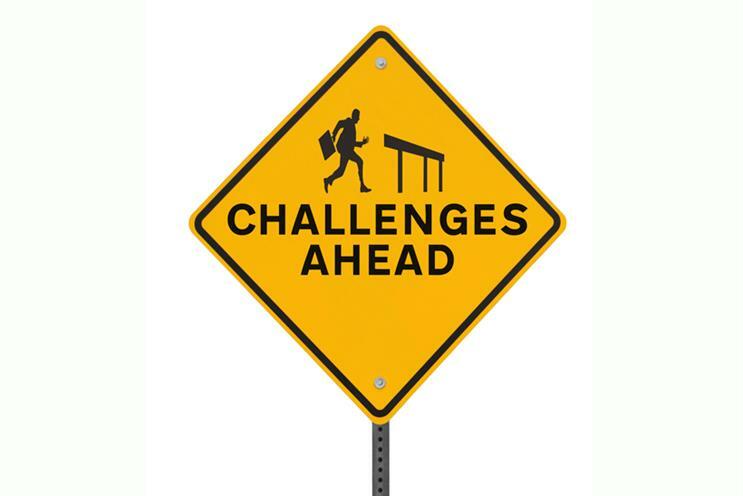 In our next post we’ll talk about some of the solutions to these challenges. Several recent posts have focused on the benefits of measuring time, and on the best approach for launching time management improvements. In fact, the most common cause of delay in achieving results is the pace. Some teams schedule an hour a week to work on an improvement project, which might sound like a good approach. But, under the best of circumstances, two months will pass before the project gets one day’s attention. It is also more likely that it will take three or four months to complete one day’s effort on the project because meetings get cancelled, or start late, and then a portion of each meeting is spent going over the status or covering old ground for a member who missed a meeting. In addition, when a project progresses this slowly, priorities may change or resources might be reassigned without ever completing the work and gaining the improvements. Sometimes these teams feel like they’ve got analysis paralysis, but in fact very little analysis has been completed. The real culprit is really pace paralysis. 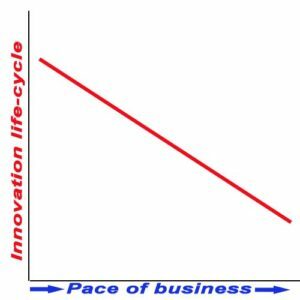 And while the pace of their project may be slower than they’d like, the overall pace of business continues to accelerate… thus making the life-cycle or “window” of innovation that much shorter. Bear in mind that the longer the project length, the more project overhead and rework time is expended and the lower the benefit, because every week of delay means a week of benefit is lost. One proven way to avoid these pitfalls is to employ the Kaizen approach. A Kaizen requires planning and data gathering up front and then all the necessary people are pulled off their jobs for one day or several days to completely solve the problem: designing, testing, stabilizing solutions usually in under a week. The Kaizen approach requires good planning on the part of the leaders and facilitator, but makes good use of the entire team’s time while accelerating the benefits of the improvement effort. Planning does little good without execution! Since many organizations tend to make strategic plans at the outset of a New Year, it seems an ideal time to reaffirm the fact that “planning” does little good without execution. For many of us, this reality will apply to personal “New Year’s resolutions” as well. Thus, as we’ve done in the past, it seems like a good time to reaffirm the importance of “execution” as presented in The Four Disciplines of Execution, an insightful book written by Sean Covey, Chris McChesney, and Jim Huling. As you may know, the ‘Four Disciplines’ comprise a management system of making consistent and systematic progress on executing plans and achieving goals. An organization can have an excellent strategy but fail to execute effectively on that strategy. Almost always the reason is that everyone is BUSY, and that they experience a conflict between all of the demands to keep the business running on a day to day basis (the ‘whirlwind’) and the time required to move the organization forward to accomplish existing or new goals! The first discipline is to focus on the “wildly important” (WIG—Wildly Important Goals). It is suggested that we’re better off executing a small number of goals right instead of spreading ourselves too thin. It is also important to not only identify, but also communicate exactly what these wildly-important goals are so that everyone is working on what matters. Equally as important, each of these goals must be associated with a targeted completion date – in other words, they must be time-based. The 2nd discipline is to set (and act upon) lead measures. While lag measures tell you whether or not you have achieved your wildly-important goals, in most cases, by the time the results are in, it’s too late to do anything about them. Lead measures are predictive; they tell you how the lag measures will move, and they are “influenceable” (you can do something about them). For example, a person might set an important goal of losing weight. 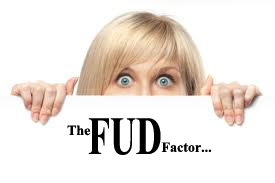 The lag measure will be to take periodic measurements of weight. But to influence the weight goal the person must act on the lead measures: exercise (calories burned) and calories consumed. The 3rd discipline is to keep a compelling scorecard. The scoreboard shows the lead measures and lag measures defined in the first two disciplines. This scoreboard must be ‘a players’ scoreboard’ not a ‘coach’s scoreboard’. It must support, guide, and motivate the players to act effectively on the lead measures and influence the lag measures. People play the game differently when they are keeping score, and they play differently if they are keeping the score themselves! In fact, the action of recording their own results has proved to have a strong effect on people ― fostering ownership, engagement, and a deeper appreciation of the impact of their effort. The 4th discipline is to develop a “rhythm of accountability.” This is the discipline that enables you to win… without a rhythm or cadence of accountability, teams will have a much more difficult time and will tend to become less engaged. The threat, of course, is that the whirlwind of running the day-to-day business that will consume all the available time. By setting a rhythm or cadence the authors mean an inviolable regular schedule to which everyone is committed. For example, teams should meet every week or every two weeks as opposed to “whenever something comes up.” It’s also best to schedule the meetings at the same day and time each week or every-other week. These meetings should never be canceled ― they must be viewed as important and productive, thus promoting strong feelings of belonging, commitment, productivity, and accomplishment, which are all drivers of engagement.